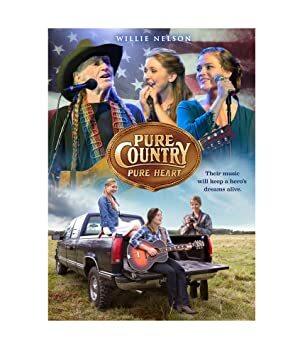 Pure Country Pure Heart (2017) – What's New on Netflix Canada Today! For Ada and Piper Spencer, singing is as natural as breathing. Blessed with talent and determination, these sisters hope to fulfill their dream of performing on the stages of Nashville. But there’s a family secret the girls never knew. In his younger years, their dad chased his own musical dreams before he met their mom, before he joined the marines, and before he lost his life in Iraq many years ago. Ada and Piper never got to know their father. But the chance discovery of a letter leads the girls on a quest to discover who he really was. As they learn the truth about their dad and the choices he made, they also get a better understanding of themselves and the special bond that holds their family together.